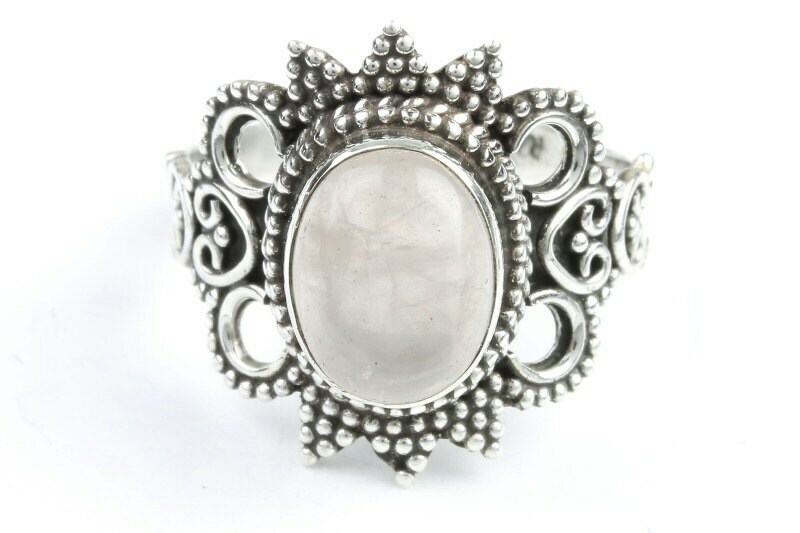 Soft rose quartz set in ornate sterling silver setting. Dark patina finish accentuates the ornate detail of the piece. 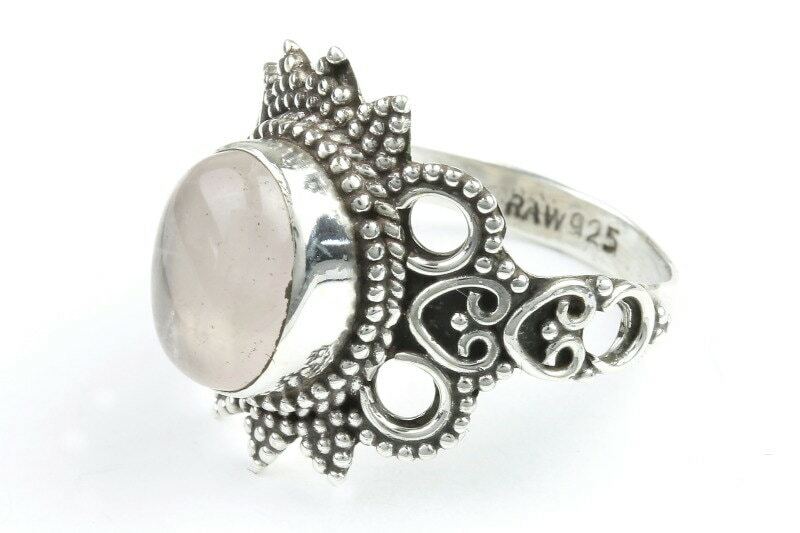 Rose Quartz is a soft pale pink, a stone of love. I am in love with my new rose quartz ring . It’s absolutely beautiful. Thank you! Super pretty ring, fits perfectly. The one thing I would add, is that it is a lot more pink in real life than in the picture. I personally love that it had more of a pink hue, but just know if you're not into the pink, it's a lot darker than in the pictures.